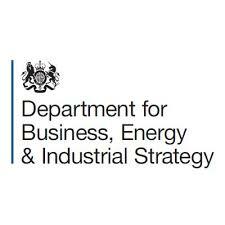 BEIS – the Department for Business, Energy & Industrial Strategy – said last week it’s going to provide £10m to fifteen industrial sector regulators to make the UK a world leader in regulatory innovation. Or, as its slightly breathless official announcement puts it: “lay the groundwork for a future of robolawyers and flying cars”. “These projects will further strengthen our regulatory system and ensure that it keeps pace with the innovation and technological advances needed to power our economy now and in the future,” claimed Business Secretary Greg Clark. The idea is that the funding will support bodies to create a regulatory environment that can give innovative businesses “the confidence to invest, innovate and deploy emerging technologies for the benefit of consumers and the wider economy”. 15 bodies won the bids for the scheme, the Regulators’ Pioneer Fund: one, the Solicitors Regulatory Authority (SRA) has been given £700,000 for an ‘Innovative Testbed’ which will search for six AI inspired products or services that will improve the legal sector, for example, and up to £1m for the Civil Aviation Authority to support a project that includes a ‘regulatory lab’ that will bring together relevant bodies to unblock legislative and regulatory barriers to innovations like flying taxis, as well as Ofcom’s look into blockchain for landline management we already reported on this week. The SRA is now looking for interested and inspired law firms, universities, tech companies and academics that have the experience, knowledge and determination to create AI products and automated services that could help improve the sector for both consumers and businesses alike, with its chief executive, Paul Philip, noting, “Smart use of technology could help tackle the problem that far too many people struggle to access expert legal advice. Such research and development could also fast-track industry products which will transform and improve the consumer experience whilst increasing the legal service process, say the partners.